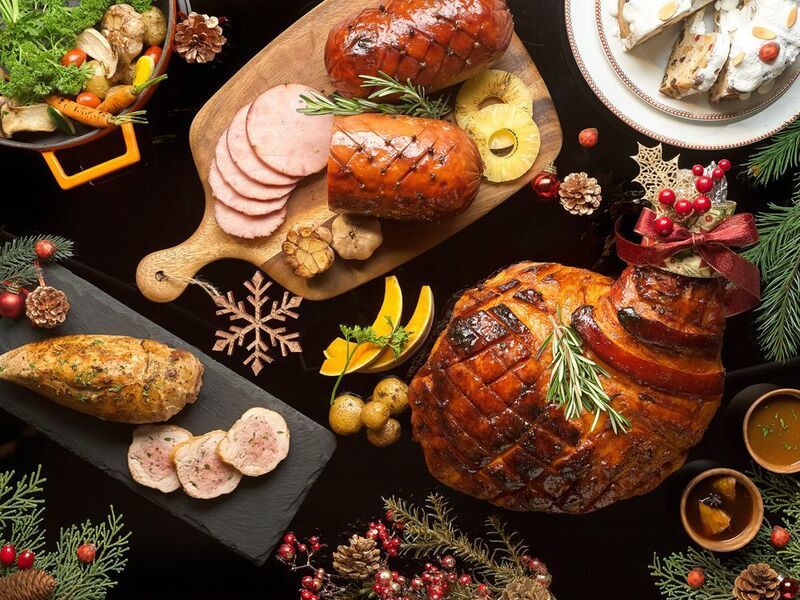 Christmas is the most wonderful time of the year, especially with the glorious feast waiting for you at these restaurants. Every day is a glorious feast at Lime—it has an extensive buffet spread spanning three open kitchens—but the holiday season is extra indulgent with a ton of mouth-watering additions. The theme on 24 and 25 December is ‘Spark-Royal’; and it will spark your interest (and appetite) with traditional delights of honey glazed gammon ham; roasted Australian prime rib; roasted turkey with apple stuffing; and apple and clove glazed pork loin. Capping the experience are carolers serenading guests during meal, and for the tiny tots—photo sessions with Santa. New Year is about the ‘Lime’ Experience, and the chefs will be offering their all-time favourites, some of which are chawanmushi with sliced abalone, coconut tropical rice pudding, and Scotch crème brulee. To help welcome 2017, freeflow champagne and wines will be served. Bar & Billiard Room’s chefs will be flexing their muscles to create tantalising offerings. Go big on Christmas eve and head straight for the succulent Australian grain-fed prime rib on the bone or roasted stuffed Christmas turkey with gravy and cranberry sauce, at the carving station. Protein adverse? You can’t sit with us. Just kidding! Have some live seafood (did someone say oysters? ), freshly baked breads, and desserts instead. Oh and save some space for the cheese. They’ve assembled a stunning selection of French brie and camembert to the unique—and pungent—varieties. Join the Christmas day brunch if your metabolism can still handle it, and help yourself to more food at the different stations. Pair it with a glass (or two) of Billecart-Salmon Brut Réserve and Billecart-Salmon Rosé. Executive chef Drew Nocente satisfies your cravings for all things meat with an eight-course menu at Salted & Hung. It comprises homemade charcuterie and the decadent Blackmore wagyu 9+, grilled just the way you like it. If you can’t get enough, come to the New Year’s eve dinner and have another serving of the wagyu beef, plus the prized Iberico tomahawk. To balance the menu, chef tossed in some fish and veggie dishes which include clams with garlic milk, kelp oil, and cured liver; marron with pickled seaweed and scallop emulsion; and lychee white chocolate and basil. Get the best of both worlds when you dine at Seasonal Tastes. Perched on level 32 of The Westin Singapore, it offers spectacular views of Marina Bay. Take it in while you tuck into its extravagant Christmas and New Year buffets. The former includes highlights of whole roasted baby lamb of leg, leg of ham stuffed with turkey and roasted turkey, served alongside popular dishes; the latter offers 24-hour slow roasted prime rib and a splendid selection of fresh crustaceans. Celebrate the occasion just like the Italians—with good ‘ol comfort food, wine and more wine. Return tickets to Sicily not necessary; just head to Osteria Mozza for its “Feast of the Seven Fishes”. It’s a traditional Italian meal where seafood is the centrepiece of the table (instead of meat). It will be presented as a seven-course chef tasting menu with tantalising dishes like Kumamoto oysters with meyer lemon gelée and pickled chili; grilled octopus with “Fagioli Marinati”, as well as blue crab and mascarpone ravioli with lobster butter. End with a bottle of the best red or white. The restaurant has an exquisite wine list to suit your preference. Trust Saint Pierre's executive chef Matthieu Escoffier to craft something lip-smacking for the holidays. His Christmas eve menu tickles the palate with pre-dinner snacks and amuse bouche. It’s followed by a parade of gratinated warm Gillardeau oysters, truffled organic egg with lobster mousse, and hand-dived scallop with black truffle, kinijiso, puff pastry and périgueux jus. Top up and enjoy these with wine pairing. The feasting continues to New Year’s eve, if you can handle it, that is. Indulge in champagne and caviar, as well dishes like A5 Japanese ohmi beef, twice cooked XXL turbot, and ivory chocolate. Finish at midnight by toasting with a glass of 1993 Dom Perignon champagne, while watching fireworks by the bay. Can’t see what all the fancy fuss is all about? Head to Cure, located at the buzzy Keong Saik Road, for a laidback Christmas. Chef-owner Andrew Walsh—formerly from Esquina—has curated a seven-course menu that captures the essence of a traditional Irish Christmas. Begin with the salmon gravlax, a quintessential winter dish served with beetroot, dill, and smoked crème fraiche. Follow it up with the duck and foie gras terrine, paired with boozy mulled plums and brioche. Still have enough space in your tummy? Now we’re talking! There are more Christmas favourites to be devoured: salt-baked celeriac, 72-hour short rib, and three options for desserts. Have the eggnog with gingerbread and coffee, pudding, or cranberry, white chocolate and blood orange trifle. For an extra dose of Christmas cheer, The Black Swan has on its line-up, a Jingle & Jazz party. Live music is courtesy of icons Alemay Fernandez and Rob Collins, who will keep the night alive with earworm hits like Hard to Imagine, I Believe, and classics such as The Only One I Know and Here Comes a Soul Saver. Keep with the beat while you dig into a delicious four-course menu featuring luscious Hokkaido scallops, seared foie gras, and juicy tenderloin. Finish off with a complimentary cocktail, and start burning all the calories on the dancefloor. Silk Road Restaurant marries the flavours of east and west to conjure a five- and six-course dinner for Christmas and New Year, respectively. Highlight of the former is the oven-roasted turkey roulade, marinated overnight with Sichuan dressing and served with avocado and coconut shooter. The star of the show for the NYE menu is the wagyu beef fillet, grilled with butter and elevated with a dash of Sichuan pepper sauce. At Basilico, expect a full-blown Italian feast including succulent 100-day dry-aged Angus prime rib with rosemary and porcini mushrooms; Hokkaido scallop gratin with young pecorino zabaione; a live station of Alaskan king crab and foie gras rainbow ravioli; and over 40 Italian specialty cheeses plus a dazzling array of sweet things to wrap up your festive buffet lunch or dinner.